It's taco patio party time with my latest South of the Border recipe, Chicken Tinga. And it's here, just in time for summer. You'll want to bookmark this recipe. And, my Chicken Tinga recipe is wife approved! The ingredient list is short, so it's easy to make -- just saute some chicken pieces, onion and garlic, add dried oregano, cumin, salt and pepper. Then simmer it all with canned tomato sauce and chipotle peppers. You do have to shred the cooked chicken at the end, but it's now tender and simple to separate. 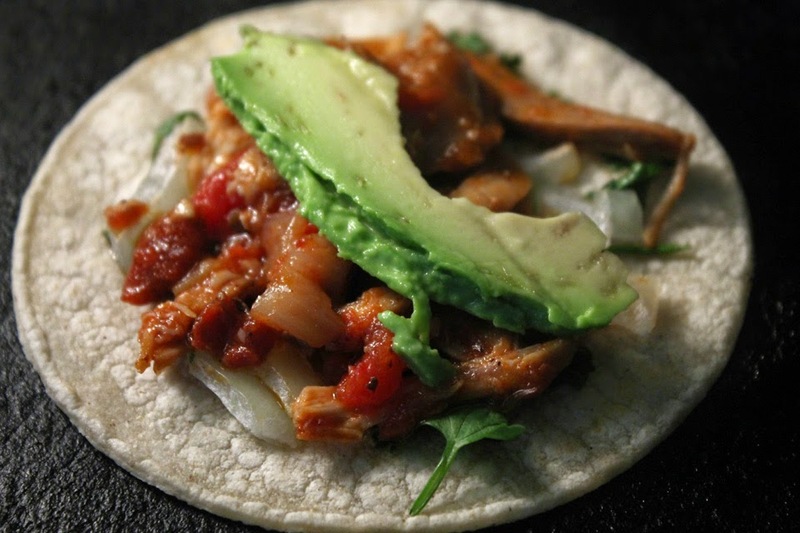 This braised poultry dish is perfect on a warm corn tortilla or wrapped in a flour tortilla, with a little fresh chopped onion, cilantro, a slice of avocado, and topped with some shredded or crumbled cheese. My Chicken Tinga recipe makes enough to feed the whole family, and more. It's easy to keep warm on the stove top for a taco party, too. Just lay out a tray of toppings and go to town chowing-down on all the deliciousness. Let your guest do the work, I mean, have all the fun, building their own tacos. This Mexican-style stew is even better the next day, when all the spicy flavors have merged and mellowed - so, you can do all the cooking ahead of time. Chicken Tinga freezes well to pack it later for a few work lunches. 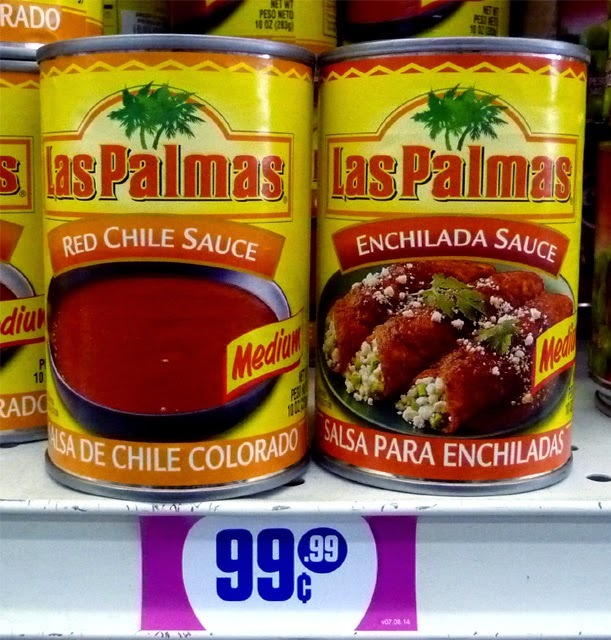 For my Chicken Tinga recipe I use a cheap 7.5 ounce can of chipotle peppers in adobo sauce. A warning though, this small can packs a lot of spicy heat, just dip your finger in the sauce and taste it for yourself. But, it's the kind of heat that lessens once you've eaten a couple of Chicken Tinga tacos and downed a frosty, salt-rimmed margarita. Notice it's spelled "Chilpotle" on the can, but "chipotle" is commonly used. 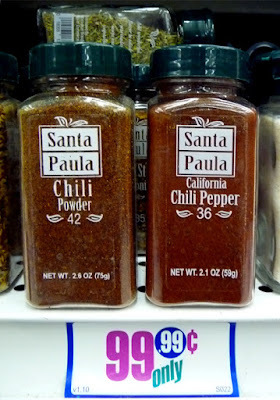 You can cool down the heat by using half the sauce and chili peppers. And, if you think that's still too spicy, then leave out the can of chipotle peppers and adobo sauce, and use a small (14.5 ounce) can of plain enchilada or red chile sauce (similar flavors, with very little heat.) And go to the Hindsight section at the end of this post for all my mild versions. Interestingly, most recipes I explored online call for boiling chicken breast separately, then adding it to the tomato/chipotle sauce. 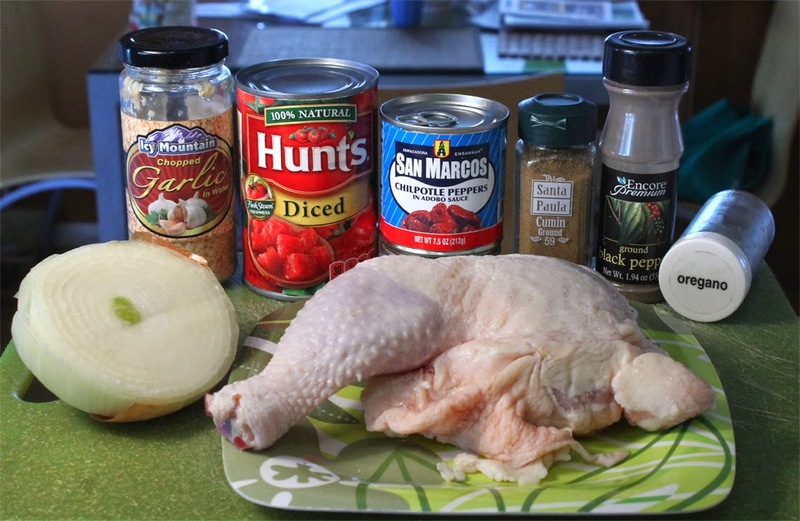 Why not just add the raw chicken to the sauce and cook it; that way you retain the savory chicken stock. And, if you brown the chicken skin - why that's double the flavor. Well, that's the way I'm doing it. Just keeping it simply scrumptious. You can make this recipe with more expensive white meat or use cheaper dark meat. Remove the skin if you want a low calorie stew. Most poultry eaters fall into two camps, dark meat or white meat lovers. I like dark meat because there is more texture and taste variety. 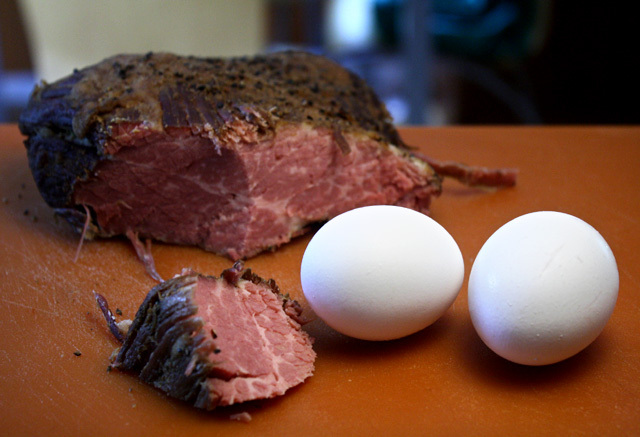 Leg meat has a flavorful knob of meat while thigh meat is a big juicy slab. And it's hard to overcook - while white meat is easy to dry out (except in this stew.) Although, I see why white meat is usually preferred for it's consistent texture and being lower in fat. Make my recipe with white or dark meat. Hey, go ahead and use both - can't we all get along? Play it here, video runs 4 minutes, 23 seconds. 2-3 chicken leg quarters - That's 4-6 pieces of dark meat. You can use breast white meat, about 2-3 half breasts. 14.5 ounce can of tomatoes - diced, tomato sauce or even whole tomatoes. Just break up tomatoes as they soften from stewing. 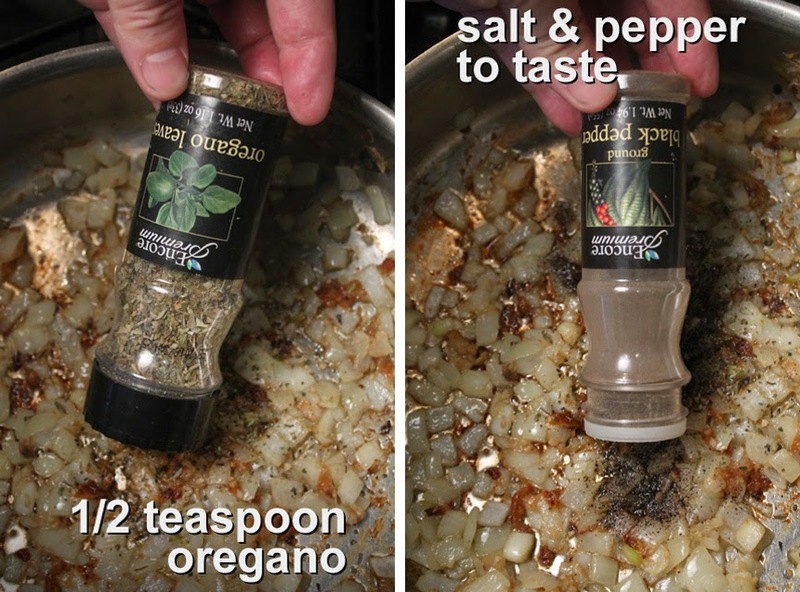 1/2 teaspoon of dried oregano - or, one teaspoon of fresh oregano. For dark meat with skin, saute in a large pan, skin side down, about 5-10 minutes over a medium/high heat. You want to brown the skin and get some charred bits as extra flavor. Okay to remove skin for a lighter version. Use the same procedure for breast meat. No need to brown both sides of the chicken, or cook it all the way - you will simmer it later, until well done. 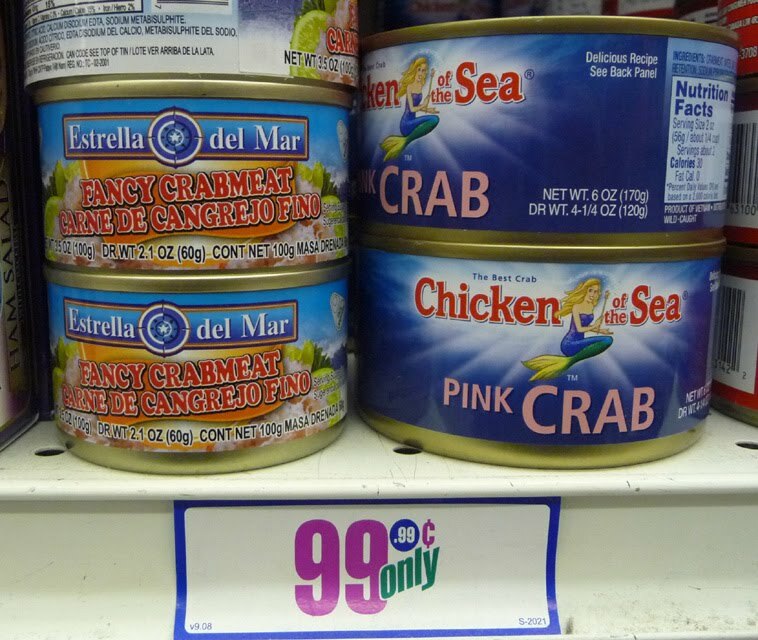 (Of course, keep semi-raw poultry on a different plate from other ingredients to prevent cross-contamination.) And, if you are in a hurry, you can skip this browning chicken part. While chicken browns, chop half an onion. When one side of chicken is brown, remove it and add the chopped onion. Stir onion and scrape loose the brown bits on the bottom of pan. 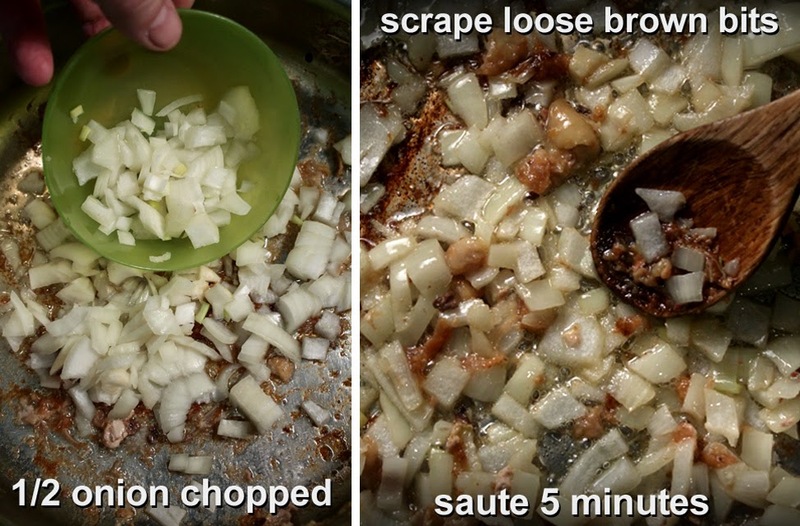 Saute onion about 5 minutes until soft. Add garlic and saute another minute. Now add spices and herbs. Sprinkle in ground cumin, dried oregano, and salt and pepper to taste. 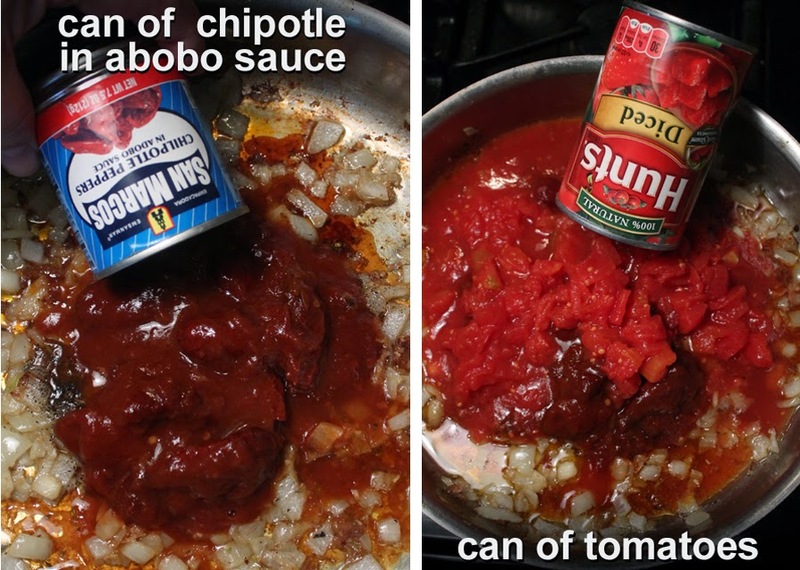 Pour in a can of chipotle peppers. For a less spicy version, add half of the liquid and peppers. (To reduce spicy heat, substitute chipotle peppers in adobe sauce with a small 14.5 ounce can of enchilada or red chili sauce.) 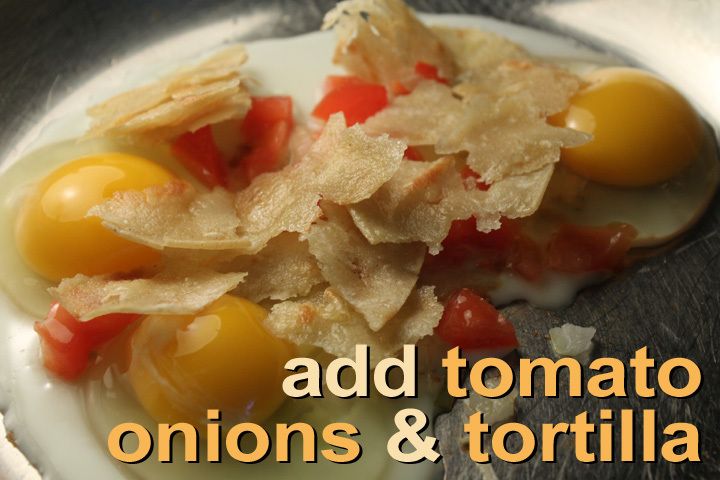 You can also only use tomato sauce with a tablespoon of dried chili. Add a can of diced tomatoes or plain tomato sauce. Mix all the ingredients. Finally add the browned chicken pieces. Bring up liquid to a low simmer. Cover the pot and cook about one hour, until chicken is cooked all the way through. 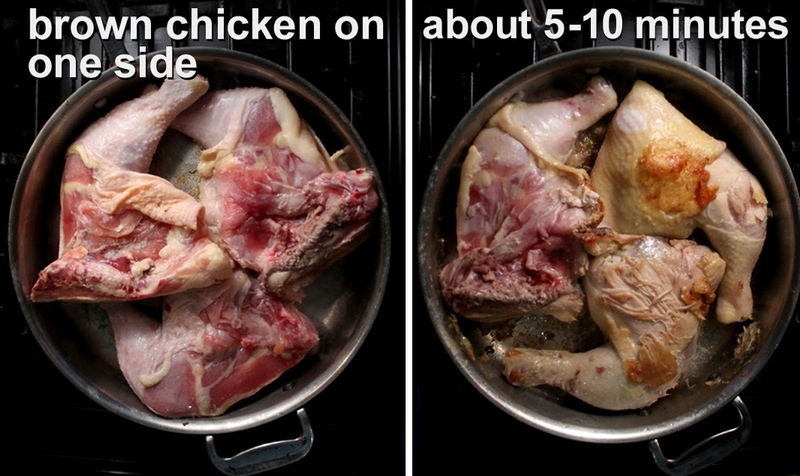 Remove the skin and meat from the bone. You can discard the skin and bones, it was just for flavor and a little chicken fat. Shred chicken pieces and mix the meat into sauce. While meat heats up get all the taco ingredients ready. 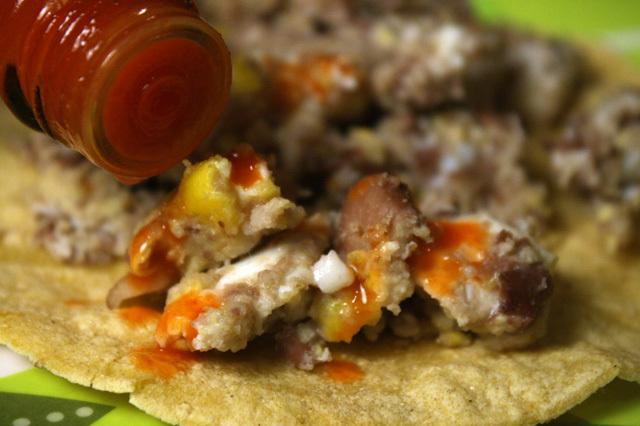 Heat up some corn tortillas. I like to top my tacos with fresh chopped onion and cilantro. Other toppings include - tomato, lettuce, avocado, cheese, and a squeeze of lime. Chicken Tinga also goes with white and brown steamed rice, or your favorite grain or carb. (I have a Mexican Rice recipe here.) You can also make a Chicken Tinga Bowl with pinto beans (recipe here, or used canned) and rice, for extra heft. Make a Chicken Tinga Burrito, with your favorite fillings. Or leave out the carbs and just top a bowl of Chicken Tinga stew with fresh chopped onion, cilantro, a slice of avocado, and a squeeze of lime. My Chicken Tinga recipe is easy to half. Use the same amount of tomato sauce and chipotle peppers, just add less chicken. There is more sauce, but that's a good thing. 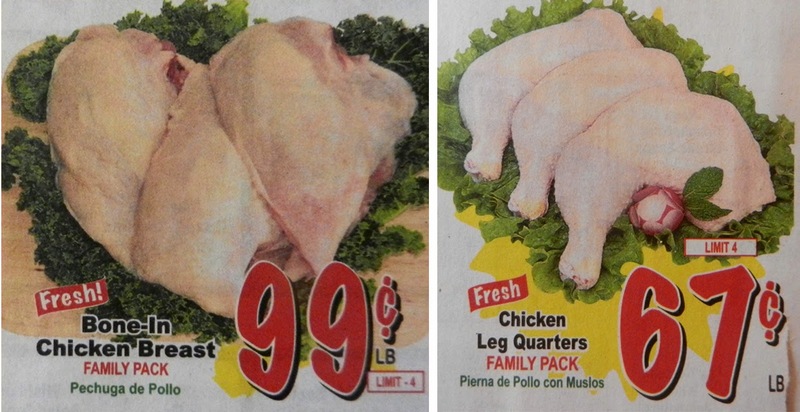 Use any cheap, tasty poultry parts you like: legs, thighs, or breast. It's all good. 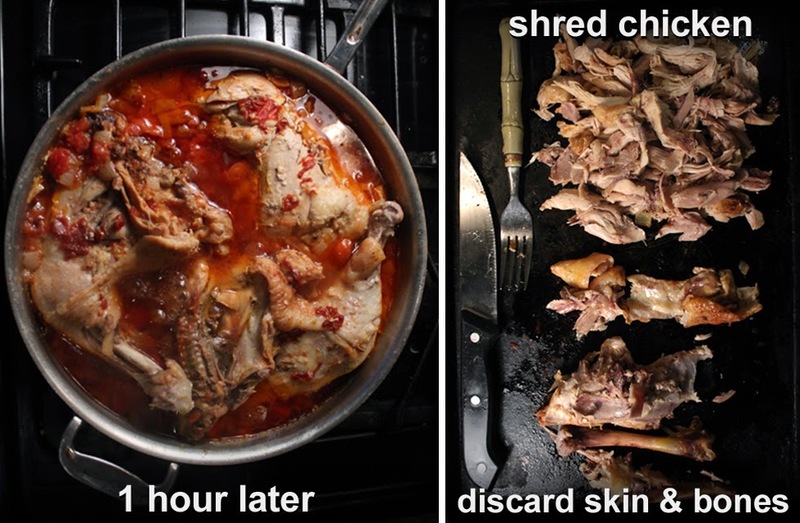 Remove skin for a low calorie stew. I brown the chicken, but you can skip it and go right to cooking the chopped onion. Substitute spicy chipolte peppers with enchilada sauce for a mild version. For another simple non-spicy version just use canned tomato sauce and sprinkle on a tablespoon of red Chili Powder. 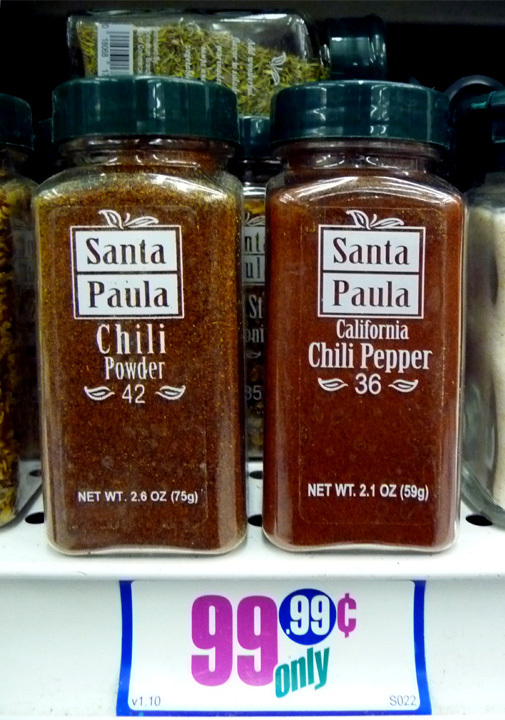 Chili Powder is made from mild dried chilis. So you get the that deep chili flavor without the chipotle heat. This recipe makes plenty of Chicken Tinga, but it freezes well. Freeze in a couple of batches for later use. I like to pack a few tortillas with chopped onion and cilantro for work lunches. The stew and tortillas heat well in a micowave. In my Man Cave I control the TV remote, in my Man Cave the kitchen is cluttered, and finally, in my Man Cave I do the cooking -- my way. Read on for the rest of my Man Cave Cuisine Manifesto. Of course, women are welcome, just don't touch anything. I mean, everything is in it's place, no matter how disorganized it may appear. Us guys have our own way of finding stuff. When we use something, we just drop it when done, that way it will be there next time we need it! Kitchen utensils are kept to a minimum. A set of measuring spoons is not necessary, as long as I have regular cutlery like a teaspoon and a tablespoon. A stained coffee cup is my measuring goblet for large ingredient amounts. There is always beer in the refrigerator. And a kitchen towel may do double duty for working on cars. 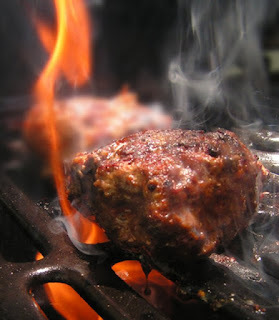 Once settled in my Man Cave the only time I will leave is to turn a burger on the patio grill. When food falls to the floor, it will be picked up and brushed off. 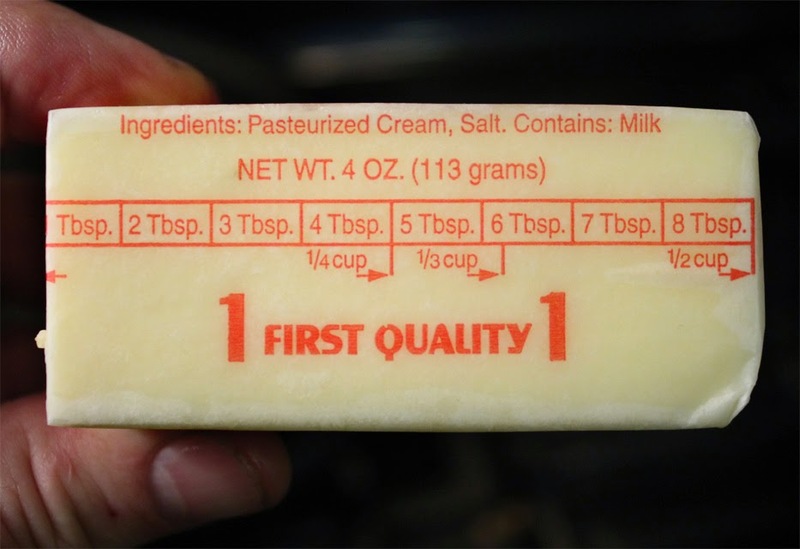 Expiration dates stamped on packages of food in the refrigerator are no longer enforced - it will keep as long as it doesn't smell. Now what comprises Man Cave Cuisine? Meat and potatoes mainly. They are sauteed, roasted or grilled. BBQ Pulled Pork, Ribs, Carnitas, Carne Asada and Fried Chicken are some meaty Man Cave specialties. Beans make a frequent appearance, too and they are best cooked with beef or bacon. Of course it's easy enough to make vegetarian versions. Get your legume on with Texas-style Pinto Beans (topping with Frito Chips optional,) Soul Food-style Black-eyed Peas, Homemade Chili Beans, Cajun Red Beans & Rice, Mexican Charro Beans, and Beanie Weenies. 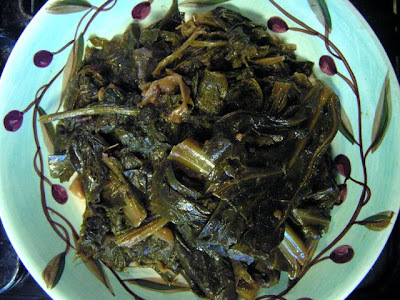 Homemade Collard Greens with Bacon. All International cuisines are welcome in my Man Cave kitchen, especially Latin and Italian recipes: Meatball Sub and Pasta alla Carbonara, check; Cuban-style Roast Pork with Black Beans and Fried Plantains, double check! Actually, Man Cave Cuisine is for everybody, when taken in moderation. Anyone can make it, too - as qualifiers, the ingredients list and preparation is uncomplicated. You don't need to be in a Man Cave kitchen to follow my recipe directions, either. 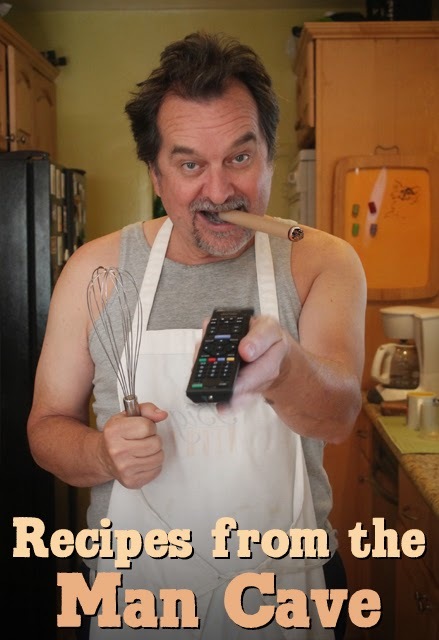 So do check back for my new recipe series, direct from my messy and underlit Man Cave. 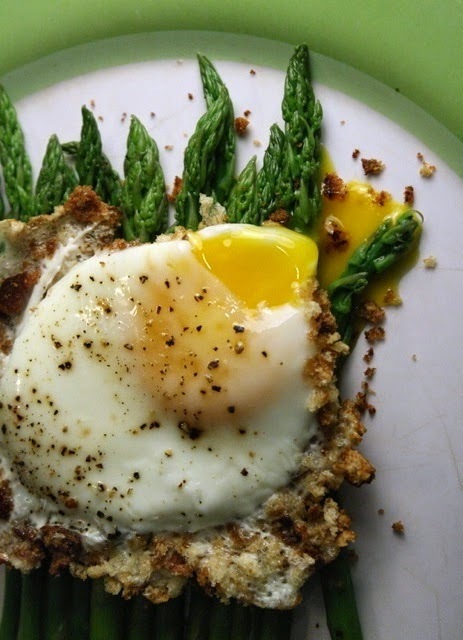 You'll never want for an egg recipe again after perusing the Cheap$kate Epicurean's latest blog post. You have a lot to choose from, like a filling Pasta alla Carbonara with egg yoke and crumbled browned bacon over spaghetti; or a baked omelet-like Frittata with pasilla chili, chorizo, potato and cheese. 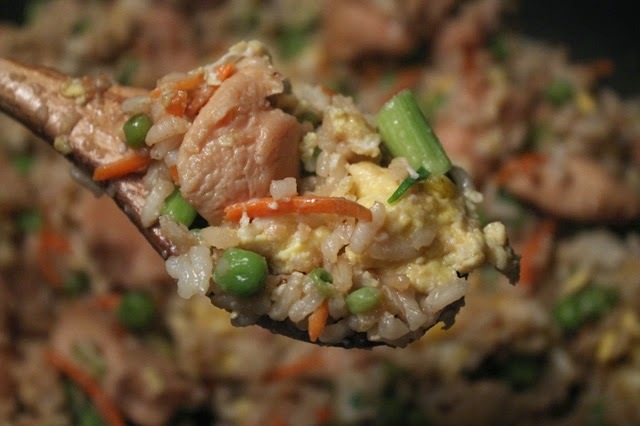 And you can find any of the recipes from my food blog by clicking on it's name. 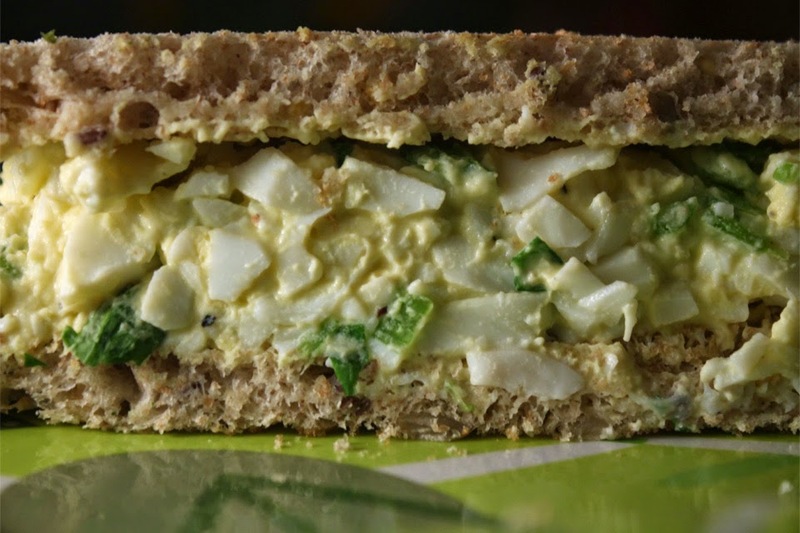 There's nothing better for lunch than a Egg Salad between two toasted slices of bread. An Egg Sandwich for breakfast is a quick and simple way to start any day. Booze and eggs go together, especially if your making my Homemade Eggnog. 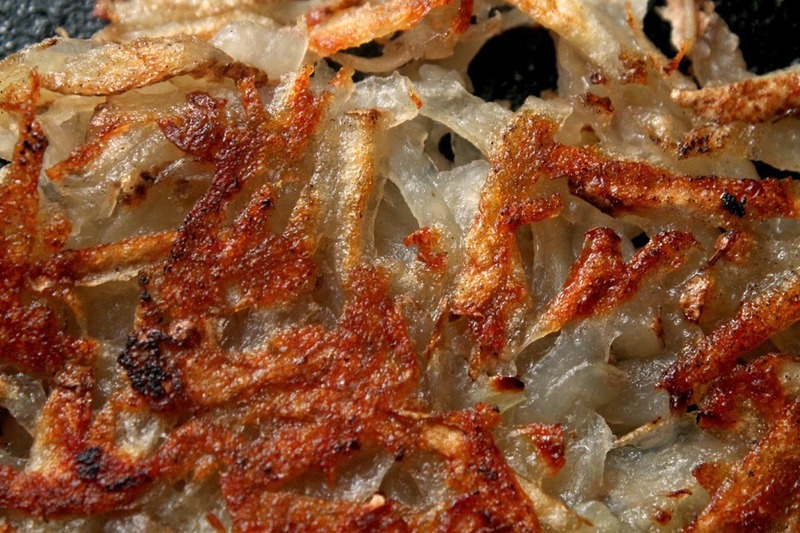 This video recipe is one of my holiday favorites. You won't believe your eyes when you see my intoxicated antics after imbibing on an eggnog too many. Be sure to watch this recipe video all the way to the end! 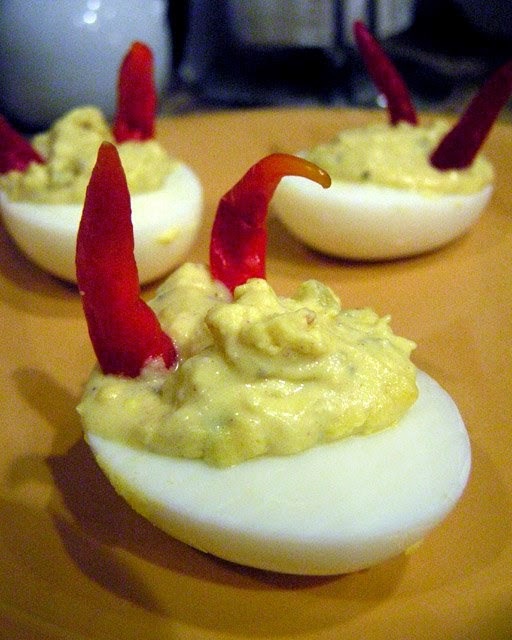 Another early recipe of mine is a silly Devilish Deviled Eggs I made one Halloween. Fun and tasty. Ever make Crepes Suzette? There's not much too it really, just eggs, flour, milk and to quote Julia Child's nephew: "lots of butter." Who's is the famed chef's nephew anyway? Well, just watch the video to see this outrageous character shopping in the Hollywood Farmer's Market -- then moving on to the kitchen to show you how to make a tender and delicate pancake-like dessert. If you have a small patio garden then I have a couple of nutritious recipes to use the fresh picked bounty. An easy veggie to grow is bright green Swiss Chard. 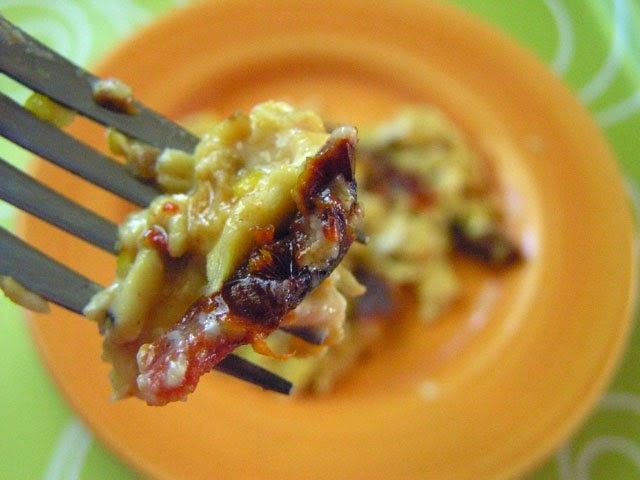 Just saute it for a couple of minutes and add it to your favorite omelet recipe, my recipe is here. 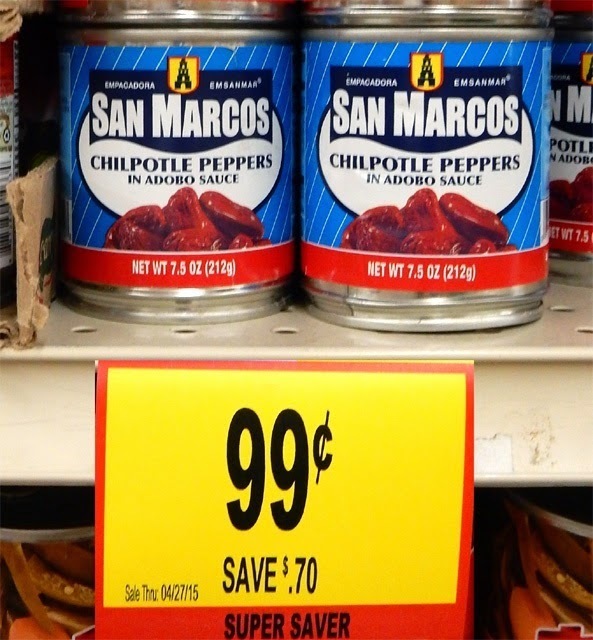 I get all types of Mexian chorizo at my local 99c only Store, including: beef, pork and soy (vegetarian.) Mexican chorizo is different than Spanish chorizo, mainly it's the texture. Spanish chorizo is hard like salami and Mexican chorizo is soft like ground meat. 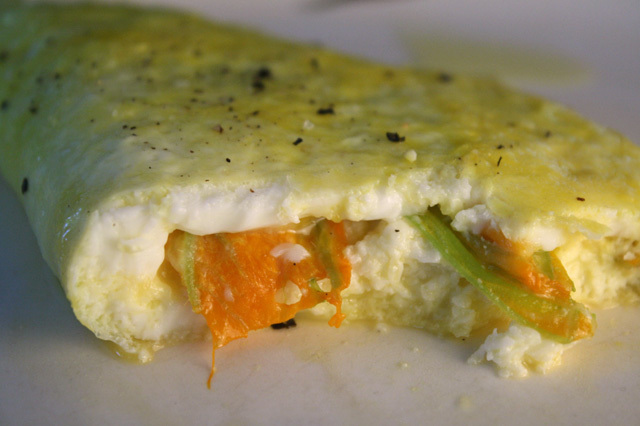 It's a pungent and flavorful protein that mixes well for Chorizo and Scrambled Eggs. And use it to stuff a Breakfast Taco or Breakfast Burrito. 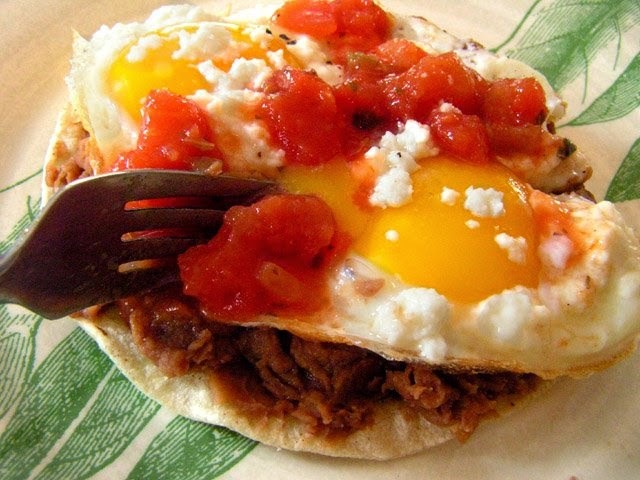 You can top any of my Mexican breakfast entrees with a favorite jarred salsa or go here to see my list of Homemade Salsa Recipes, with links, that include: Roasted Salsa Verde (tomatillo,) Red Chili (2 dried types - but same recipe,) Pico de Gallo and Mango. 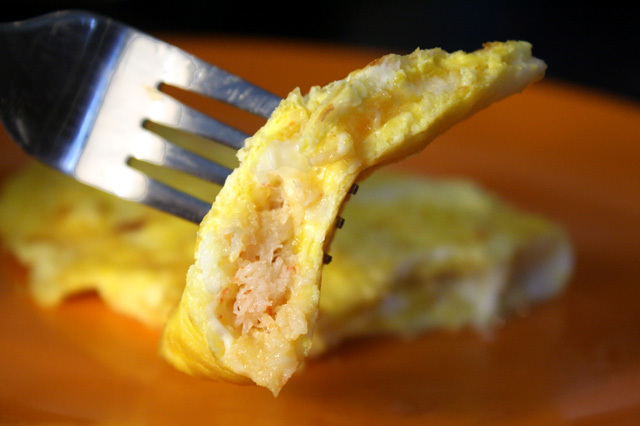 And for my latest egg recipe video I made a classic French-style Cheese Omelette. What's the difference between it and the ones you get at a typical American diner? Well, it all about technique, mainly you just soft scramble the eggs in butter, add the cheese and gently roll the egg to close up the omelette. 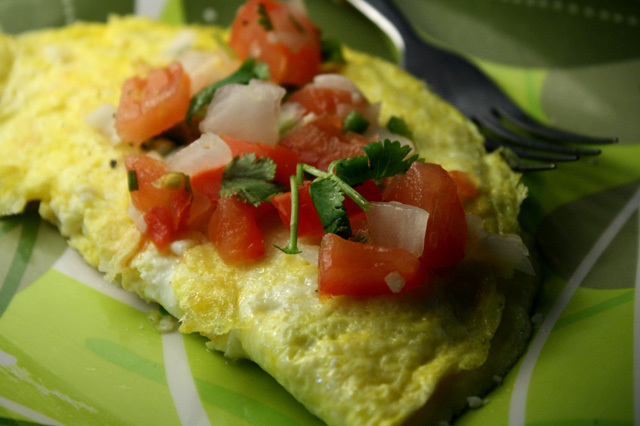 Most American-style omelets are cooked dry, while a French omelette is slightly moist in the middle. It's a different way to cook an omelette, but I've grown to like it. And finally if your looking for a bit of levity, well, I have an early morning fried egg comedy video to brighten your day, here. Whew, that's a lot of egg recipes, I'm exhausted. 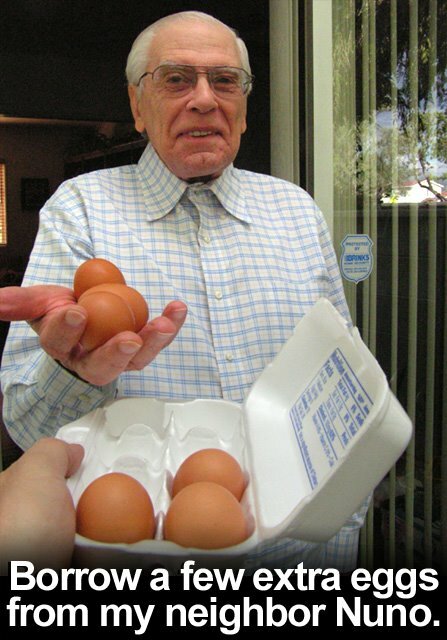 You've just scrolled through 7 years of egg recipes from my food blog. And if you want even more egg facts then click here to view a fun video. 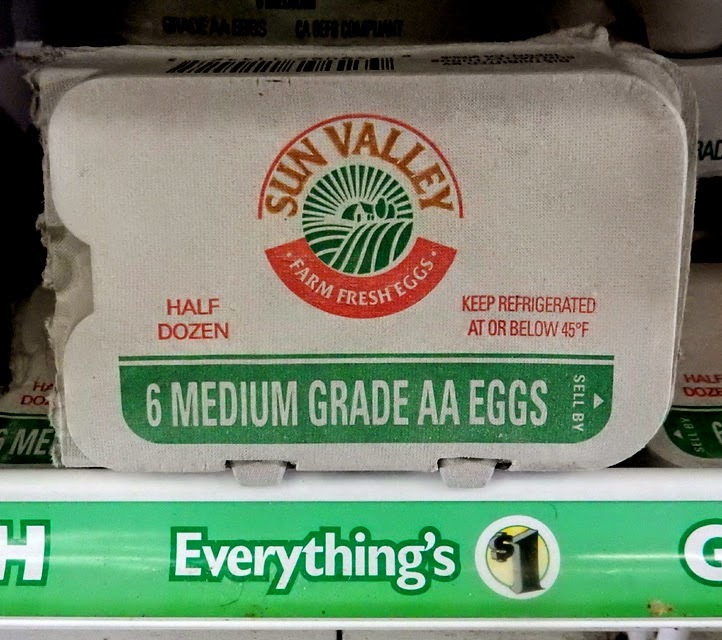 Cooking with eggs is cheap. 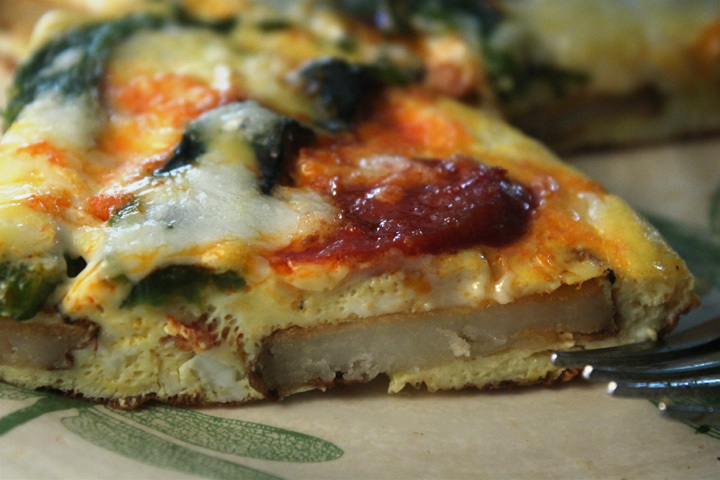 While not as inexpensive as they used to be, it's still an affordable way to start the day, especially when you use any of my creative and tasty recipes listed above. Butter's back! Sure why not. Used judiciously, it's a good fat (click here to read about benefits and here, too.) At least you know where it comes from, unlike margarine. When Brussels sprouts are cooked they take on a slight nutty flavor and they do taste like cabbage. I was not a fan of them as a kid, but I love them now. 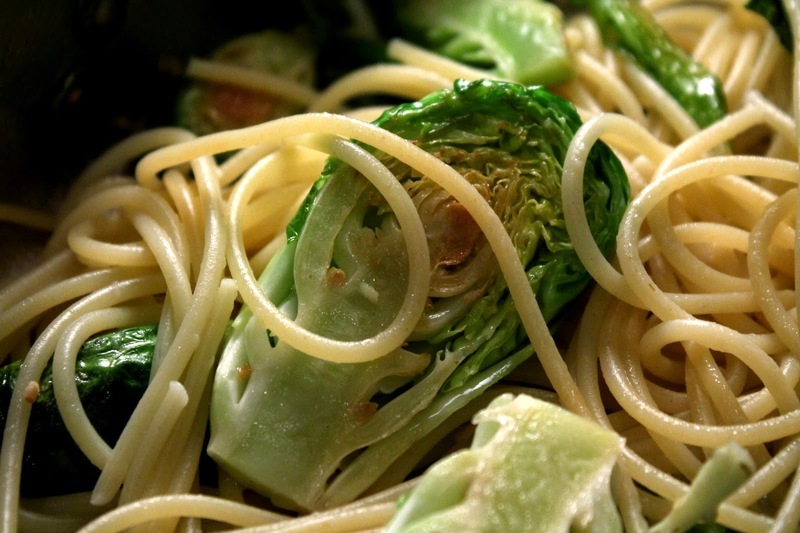 I'm sure my recipe of Buttery Brussels Sprouts & Pasta will please anyone in your family. And any veggie tastes even better sauteed in butter. When fresh cooked pasta is mixed in you have a hearty meal that comes together very quickly. 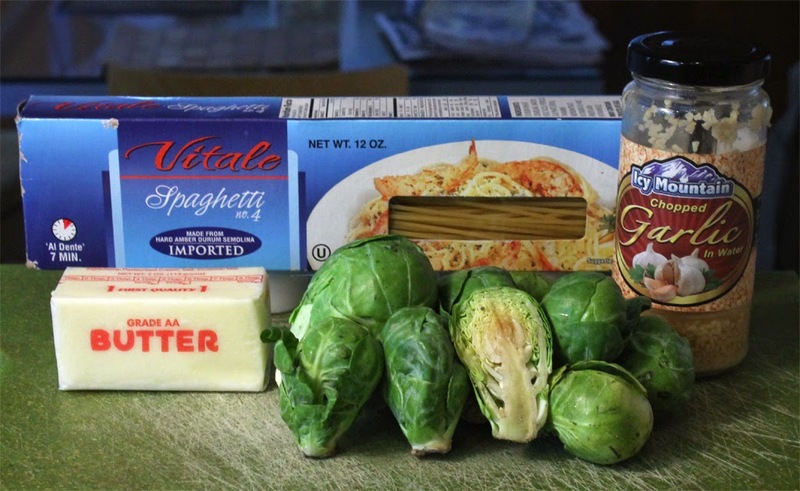 Just get a pot of water going for the pasta, and by the time it's done, the buttery sauteing Brussels sprouts should be ready. The whole meal only takes about 10 minutes to do. 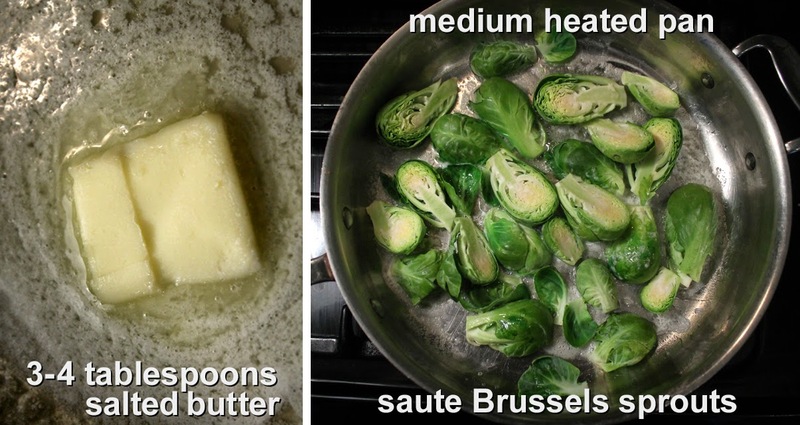 I slice each Brussels sprout in halve to cook quicker, plus that's more surface for butter to coat. 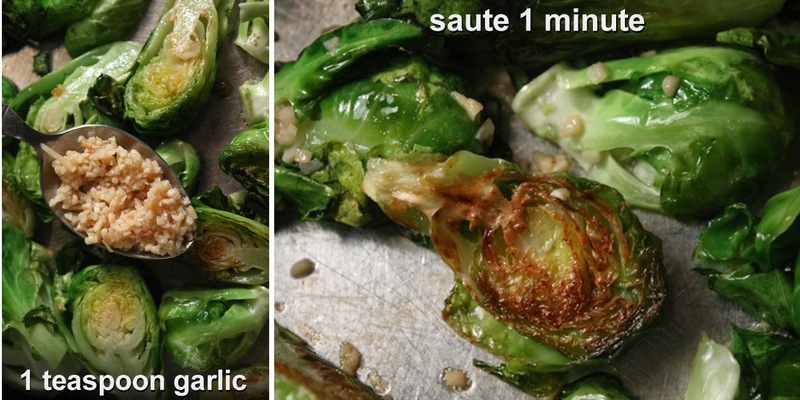 Packaged Brussels sprouts contain various sizes, so if you get some extra small ones go ahead and saute them whole. Most are in the 2 inch tall range. They take almost no prep, just slice of the brown stem end and remove any yellow leaves. 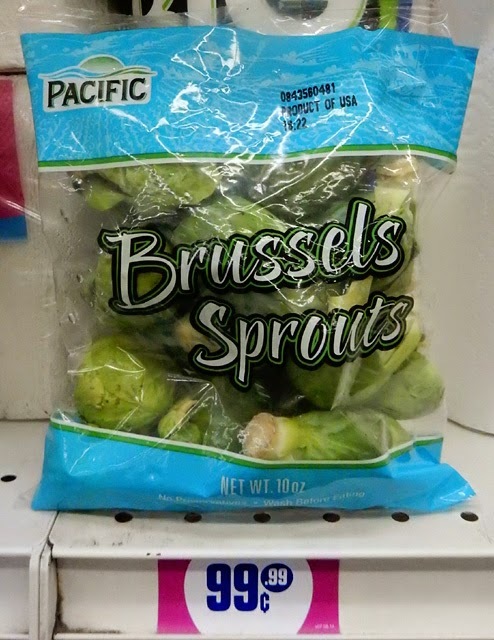 And 10 ounce bags of Brussels sprouts are still showing up at my local 99c only Store, so I'll keep coming up with recipes for this tasty mini-cabbage - make sure to come back for more. 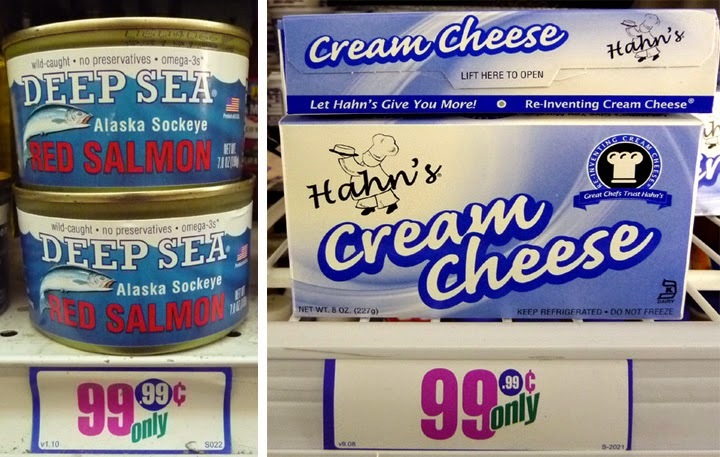 Butter is not as cheap as it used to be. I get mine from the 99c only Store. It's over my price point, but you get 2 sticks per package, and I seldom use more than a tablespoon at a time. So, it's still a good value purchase. 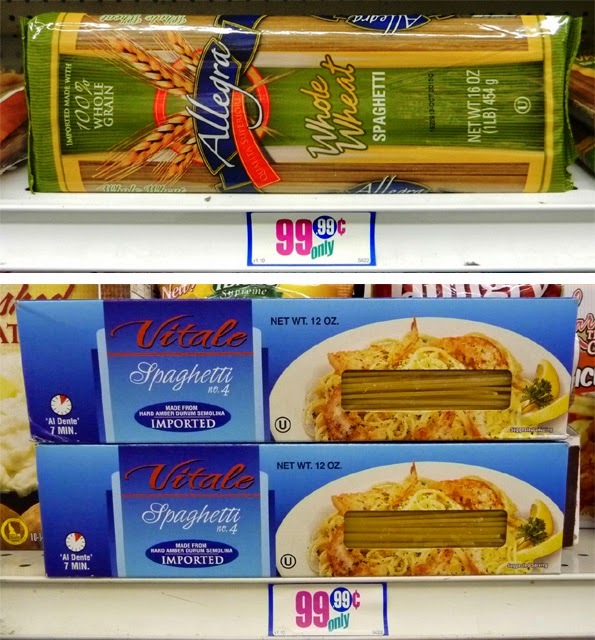 Dried pasta is always cheap. I used spaghetti, but you can use any type you have on hand. If you are butter averse, or vegan, then it's okay to substitute with a favorite flavorful cooking oil (like coconut) or extra virgin olive oil. It all about lusciousness. And if you don't care for Brussels sprouts (or they are too hard to find and expensive) then try florets of broccoli or cauliflower. Just about any veggie will do, like: carrot, squash, spinach and green beans. Brussels sprouts - I used a 10 ounce package. 3 to 4 tablespoons of butter - I used salted butter. Okay to use sweet butter. You can substitute any favorite cooking oil or olive oil, to keep recipe vegan. 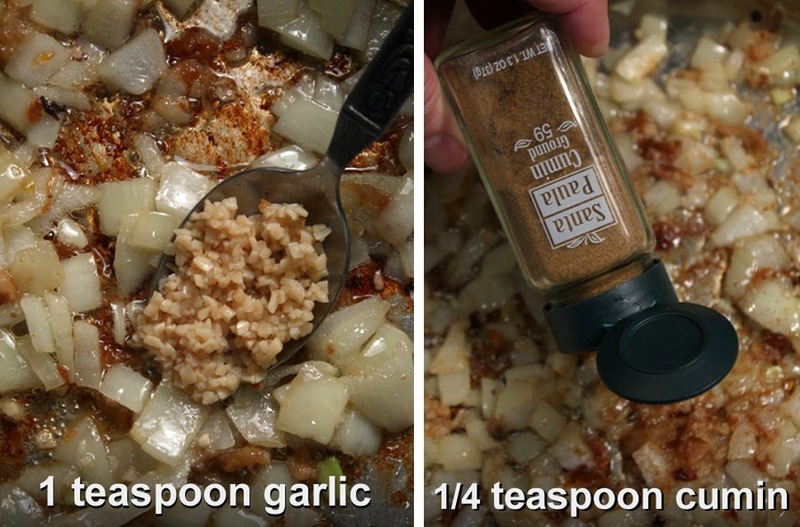 1 teaspoon chopped garlic - optional. I use chopped garlic from the jar. Black pepper to taste - no salt necessary if salted butter is used. For sweet butter, then salt to taste. 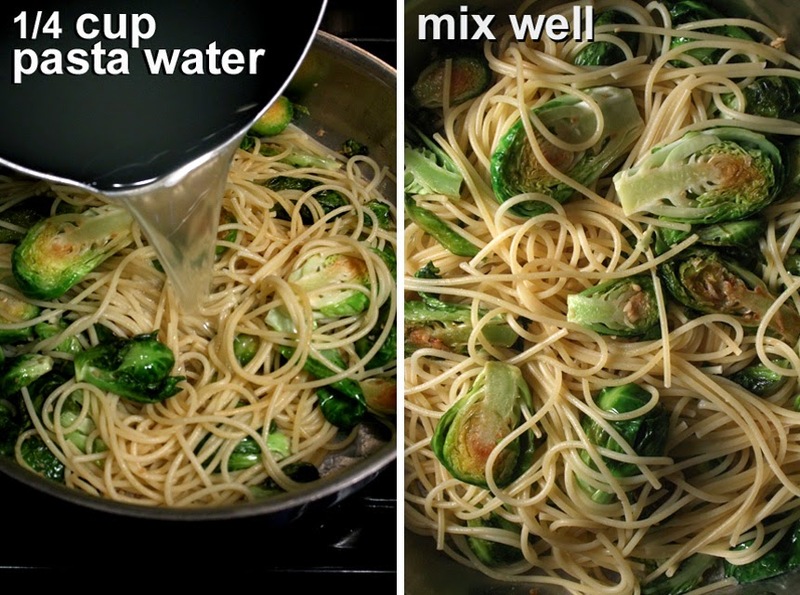 Water - to boil pasta. Reserve a 1/4 cup to add when all the ingredients are finally mixed together. 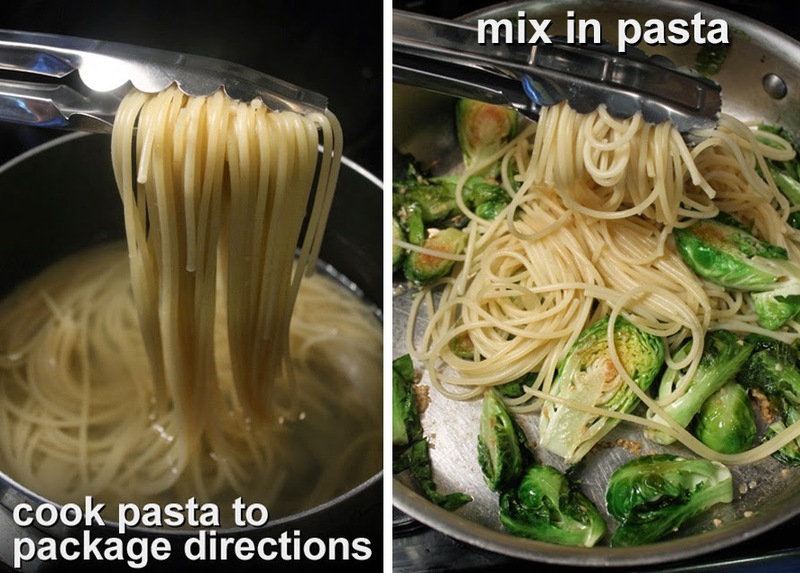 Start a pot of water to boil for pasta. Prepare pasta according to package directions (I usually shave off a minute of cooking time for al dente.) 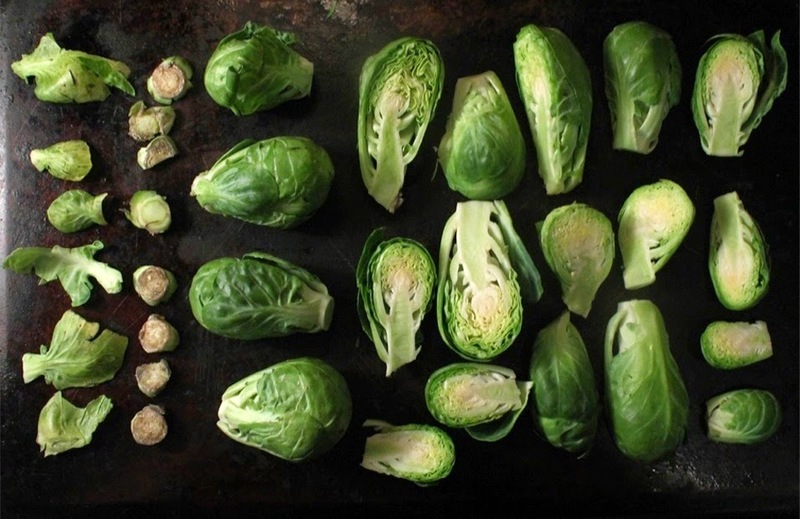 While water heats up you can start prepping and cooking the Brussels sprouts. 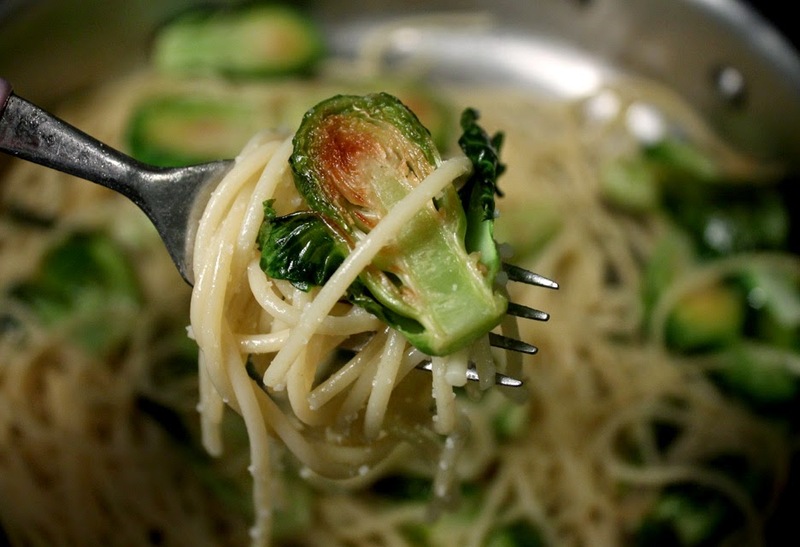 Rinse off Brussels sprouts, if necessary. 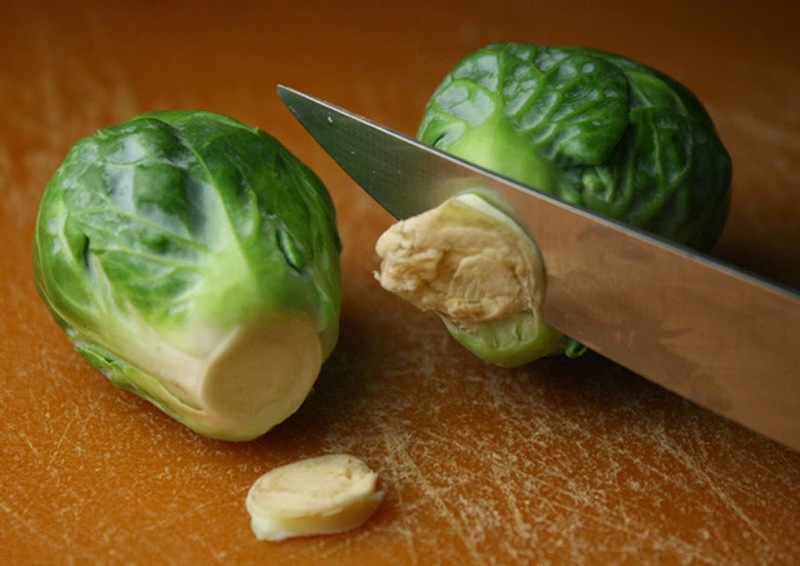 Next, slice off the tough stem ends of each Brussels sprout. Make a very thin slice, no need to take off too much. Remove any yellow leaves. If some green leaves detach, just add them to the pan too. 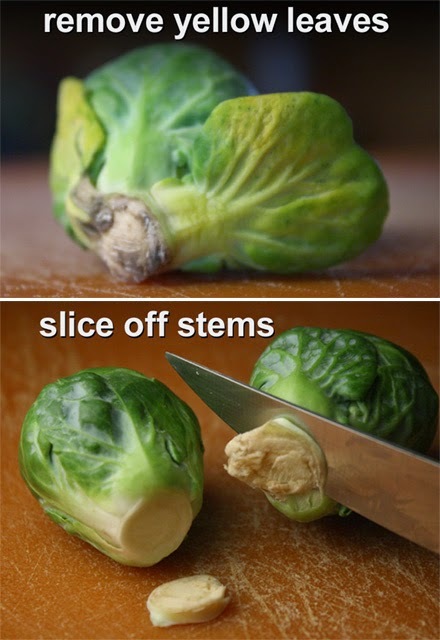 Slice Brussels sprouts in half, lengthwise. 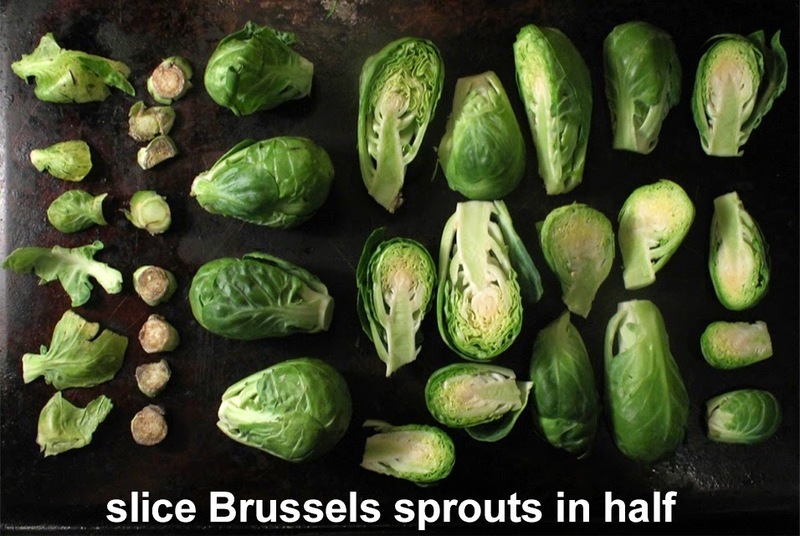 If the sprouts are small then you can leave them whole. The package I bought each sprout was about 2 inches tall. Add butter to a medium heated pan. Once it melts add the Brussels sprouts and any loose green leaves. Each side needs about 2-3 minutes of cooking time. They will tenderize and get softer. Once they are done then add a teaspoon of chopped garlic (optional.) Stir and saute one minute. 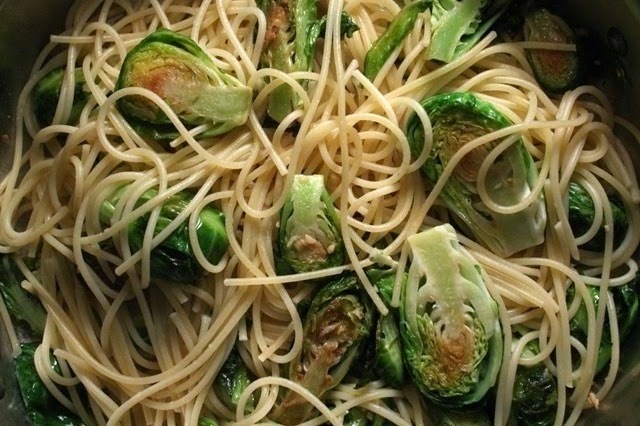 If pasta is not done yet, then turn the sauteing Brussels sprouts pan heat to low, until the pasta is ready. Now time to bring it all together. I take out the cooked pasta right from the boiling water. (Of course, try a spaghetti strand to make sure it's done to you liking.) Next, add a 1/4 cup of pasta water. Pasta tends to dry out as it cools down, so a little pasta water keeps the pasta moist, and stretches out the butter sauce.